Pacific Springs » Water News » Drinking Water » Which Water Is Best for You? 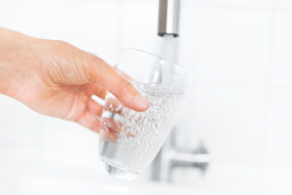 Filtered water is better than regular tap water which takes out a lot of chemicals, metals and also can reduce fluoride depending on the quality of the filter. 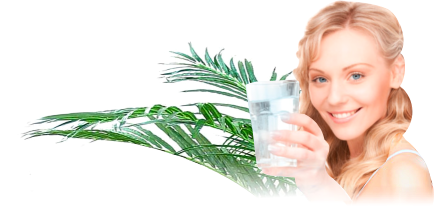 But if you like the purest water for your health nothing beats Bottled Natural Spring Water which is a popular source for drinking water because of its relative purity. Spring water flows up from underground sources that by nature’s design are typically protected from contaminants, unlike water sources at ground level, such as rivers or ocean, which have much less natural protection from air and ground pollutants and toxins and then filtered by state of the art technology and delivered to your door for you to enjoy chilled on your very own water cooler. Because of its underground origins, spring water naturally has a higher mineral count than other waters, such as tap water (water from municipal sources) and distilled water. Some consider this a beneficial factor, citing health and taste reasons, while others consider the higher mineral count detrimental, for the same reasons. The presence of minerals in spring water can give it what is described as a “fresh” or “crisp” taste, and many claim this makes it the best water to use when brewing coffee or tea. Spring water also tends to maintain a fixed average temperature year-round, regardless of the season or the surface temperature because the water comes from underground. Bottled spring water is without a doubt the handiest way to get your hands on a glass of fresh, chilled water that not only tastes delicious but is free from harmful metals. Bottled spring water is now so popular, many households are choosing to install a bottled water cooler or alternatively under sink filter systems in their kitchens so the whole family can have regular access to fresh, filtered spring water or filtered water. For more information on bottled spring water and filtration systems, contact Pacific Springs Natural Spring Water on 1800 292 83707 3349 1533. This entry was posted in Drinking Water and tagged bottled spring water, clean water, spring water, water by Teala. Bookmark the permalink.